Does this look like what Debussy sounds like? The Cypress String Quartet is performing Debussy’s luminous String Quartet as well as a piece by Pulitzer Prize winning Jennifer Higdon at the DeYoung tonight at 7pm in the Koret Auditorium. 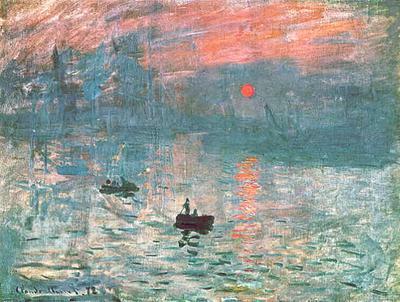 The general idea is to capitalize on the connection between the impressionism exhibit on loan from the d’Orsay and the impressionist musical movement largely associated with Debussy. I’m wary of drawing connections between styles of visual arts and music but like it or not, there’s an almost unshakeable association between the work of Ravel and Debussy and gauzy representations of lakes and ballerinas. But who’s complaining? This is going to be great music performed by a top notch ensemble. And it’s free! (Although I think it costs extra to see the actual exhibit.) Come on out. Is Guitar Hero good for music?